A promotional image for the ACIII remaster. I was so thrilled by what I found in Assassin’s Creed III when I reviewed it and in the months following, though, that I kept poking at it. The game was radical. It was radical in its structure, delaying the player’s opportunity to play as Connor by first putting them in control of his father. It was radical in its gameplay, daring to expand the series’ exciting—if sometimes clumsy—free-running from cityscapes to forests. It was radical in theme, repeatedly emphasizing that a man of Connor’s background and skin color would lose out in the new country. This narrative underpinning didn’t always do the work of fleshing out Connor’s character, which meant he occasionally seemed off-puttingly irritable, but that was only if you ignored the game’s side missions. After I returned in February 2013 to ACIII’s recreations of colonial Boston and New York and went through all of its side content, I found my opinion of Connor transformed. Some pointed commentary in the modern-day sections of Assassin’s Creed III, captured from the PS3 version of the game. 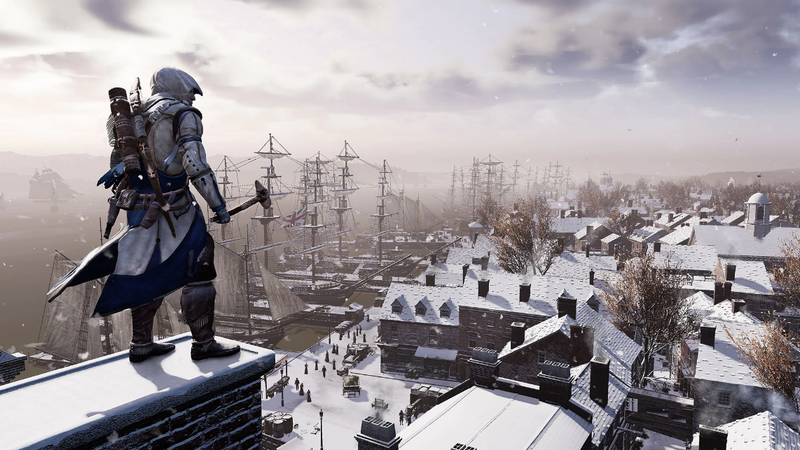 The newly released Assassin’s Creed III remaster also includes the original’s expansion about a George Washington who becomes king of the United States, as well as a remaster of Assassin’s Creed Liberation, a game about the Creole assassin Aveline de Grandpré in 18th-century New Orleans that is presented as a VR experience made by the evil Templar-run company Abstergo Entertainment. The whole remastered package is a reminder that the Assassin’s Creed series has seldom played it safe with its settings and heroes. I hadn’t absorbed until playing III again just how severely the spirit of the Assassin’s Creed games has drifted since 2012. 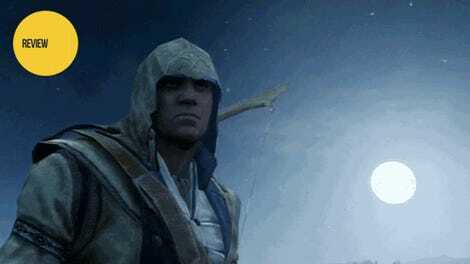 Many of the series’ more vocal fans on YouTube, Reddit, and message boards have turned on the franchise of late, complaining that recent sequels have bent and eventually snapped many of Assassin’s Creed core tenets. Gone are requirements that the game’s modern-day characters are related to the historical assassins whose lives they experience through the Animus device. Minimized are those modern portions of the game, their world-shattering meta-plot shunted into a resolution in a spin-off comic book series. Recent Assassin’s Creed games barely even feature an Assassin’s order or an Assassin’s Creed. I’m mixed on those complaints, but what a refreshing shock it is to return to III, a game about Assassins and Templars and otherworldly sci-fi spirits and the ability of past lives to turn a modern man into a world-saving assassin in his own right. It’s much weirder and perhaps much more niche than the magnificent but less shocking historical tourism of modern Assassin’s Creed games. Newer games deliver the history and big battles from the trailers that players wanted, but playing ACIII is a superb reminder of what was left behind.